Today, Neue Wache stands as the "Central Memorial of the Federal Republic of Germany for the Victims of War and Tyranny. "Initially it was supposed to be housing the memories of everybody who has been affected adversely by the wars and tortures inflicted upon Germany. From the year 1818 to the year 1918, the Royal Guard was stationed here. After the First World War in the year 1931, Heinrich Tessenow created a memorial here for everybody who had fallen in the war. Eventually like many other buildings, this one was bombed in Second World War. After the unification of Germany, this building got its present day stature of being a memorial to the victims of every suffering that Germany has faced in the past. The memorial is open throughout the week. How popular is Neue Wache? 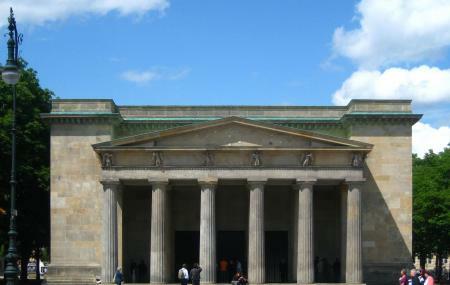 People normally club together Panorama Punkt Gmbh and Gemaldegalerie while planning their visit to Neue Wache.